welcome to my personal blog where I share my little adventures, things that keep me going, make my life better ( or worse), that inspire me and some (crazy) self-experiments. My name is Anja ( AH n- y ah), I was born ( *July 1979, a cancer but a 100% life path number 5) and raised in the South of Germany, living in the beautiful city of Amsterdam/ The Netherlands since 2003 – that’s why you’ll often see me reply in all three languages, German, Dutch and English, to posts on my Facebook, Instagram or Twitter page. What makes my life a “little bit” different from many others – my body is dealing with a few chronic/ autoimmune disease ( granuloma annulare dx 1991 and endometriosis dx 2006) and I was diagnosed with multiple sclerosis (RRMS) on June 25, 2012. My life as I knew it, came to an abrupt halt that day in 2012. I always loved to work, was a real stress junkie, travelled a lot, very active and went out with my friends each and every weekend – that changed completely in the first years after the diagnosis, especially as I never returned to work and had to sleep 16 hours a day for at least the first 2 years after my MS diagnosis. 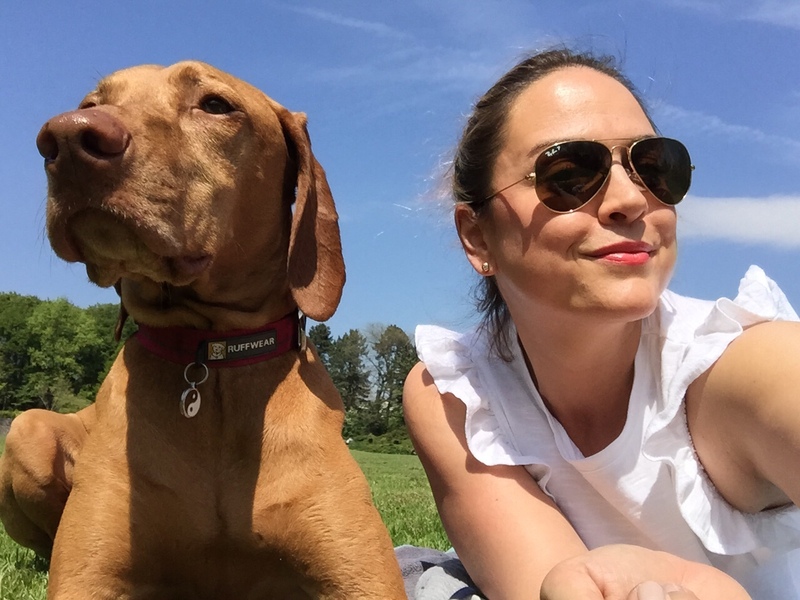 At the age of 33 I had to “reinvent” myself and my life, basically my entire world, as there’s still no cure for MS and I’m sharing “my way” on this blog with you. Still – I love my life and am living it to the fullest, I wouldn’t want to trade it with anybody else. I believe that everything happens for a reason and my passion is to support, empower and hopefully inspire others living with MS as well as raising MS awareness amongst the general public and fundraise for MS research. There a’re so many positive things I gained because of MS, starting from appreciating the “little things” in life to discovering new interests like my love for the outdoors, trekking and adventure, meditation, music, cooking – you name it. 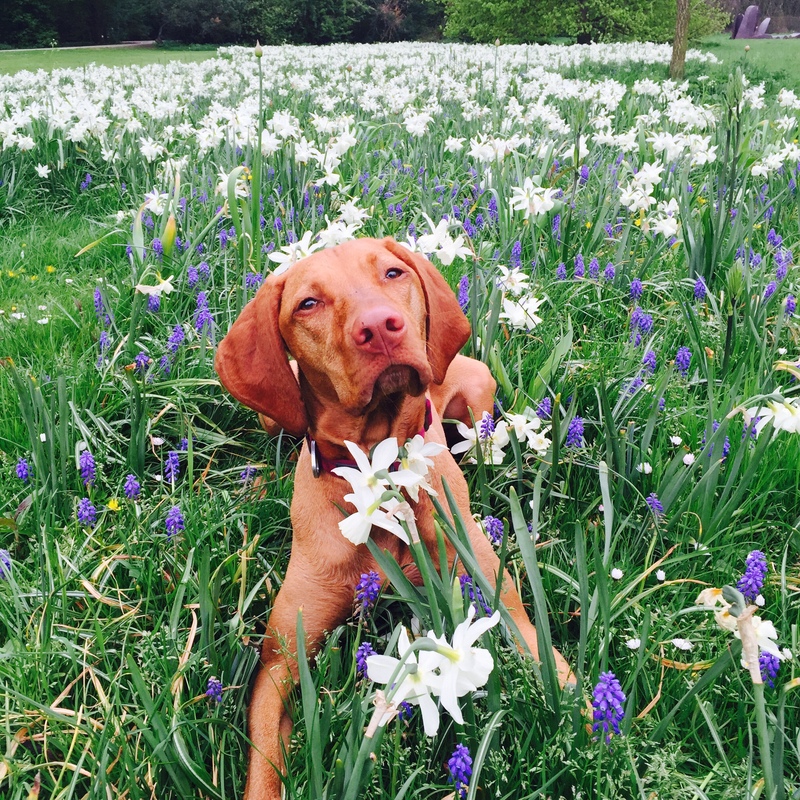 Last but not least, the most positive thing – my dog Ruby ( a lovely Hungarian vizsla *born September 2012) I would have never gotten without MS and plays a key role in my well-being. 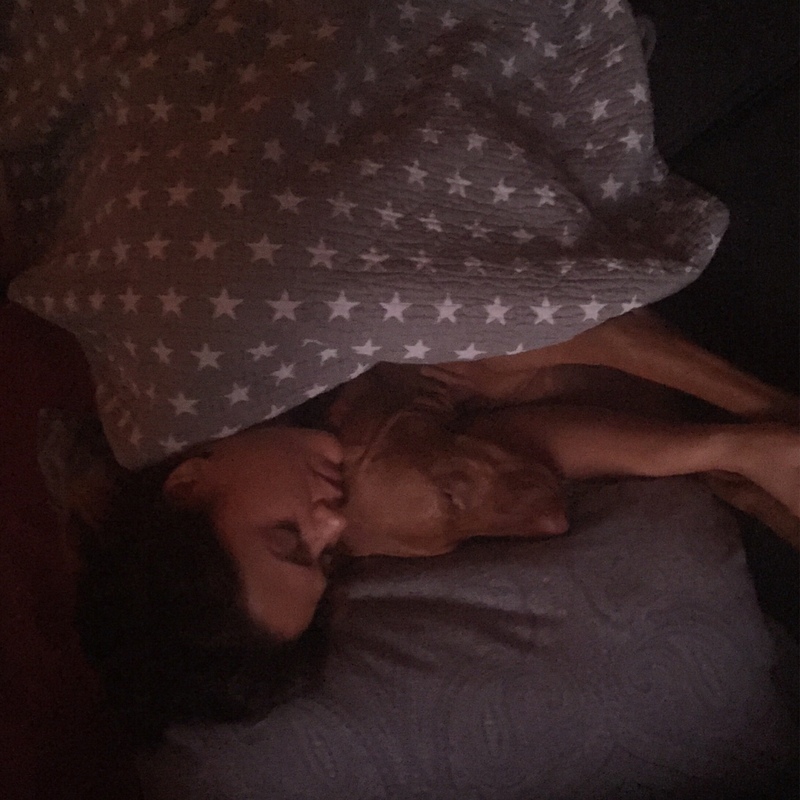 She moved in as a tiny 8 week old puppy, exactly 5 months after my diagnosis and a summer I spent entirely in hospitals/ neurological rehab in Germany and the Netherlands. She made me leave the house again, get more active and socialize with others. I feel blessed no matter what and am very grateful every day, especially for the love and support I receive from my parents and “inner circle”, I know I’m not alone in this. Anja, like many of us MSer’s, you will have MS for the rest of your life. This is not the end of the world, just a change in the world. Write about all of those things you love in your life. There is no separation of those things and your MS. You will love them no less. I wish you a smooth start on this journey. Keep your head up! Thank you Estizer! Am following your blog and loved your vlog! Hi Anja, I’m glad you liked my Vlog 🙂 Sometimes it’s much easier to just talk about it.